Great post! I agree with everything you said. Some people are so ignorant. Are you really going along with the Mantel bashing in a post premised on reading what a person has actually written? Not Mantel bashing. (Loved Wolf Hall and BUTB!) But she did cause a stir. And even taken within the article, she is rather dismissive of Kate. “Designed by a committee and built by craftsmen,” etc, etc.Notice, I also included a link to her defense of her comments. But good point. I will also link to Hilary Mantel’s paper on Royal Bodies. I think she may be more dismissive of the image of Kate, than Kate herself. I’m surprised by the Toksvig thing: she is highly educated, intelligent, and will have read Austen. In general, I don’t trust the Mail or the Huffington Post to report these things accurately. The article doesn’t say anything about where the interview took place, where one can read it, or who conducted it. You are right that that Mantel was aiming to examine the royals dispassionately, but to me it did come across harsh on Kate. (Seemed more sympathetic to Charles and Harry.) It threw me that Mantel would say Kate was “designed by committee” when Anne Boleyn was groomed and steered by the Howards. I did not mean, however, to bash Mantel. Just cite the episode–so thank you for the feedback. That’s interesting about Toksvig. Here I can confess abominable ignorance as I know nothing of her. The orig article was in the Guardian. I should have linked to that but I’ve noticed they sometimes put up a sign-in wall to visitors. Still, good point that about linked to more ‘newsy’ outfits. The Daily Mail never changes link locations (which I’ve experienced w/BBC and others). But need to reexamine that. I definitely think being accused of being Jane Austen like is actually a compliment. Great post. Ha, what a silly thing to say! One of the reasons I love Jane Austen is because of the female characters. 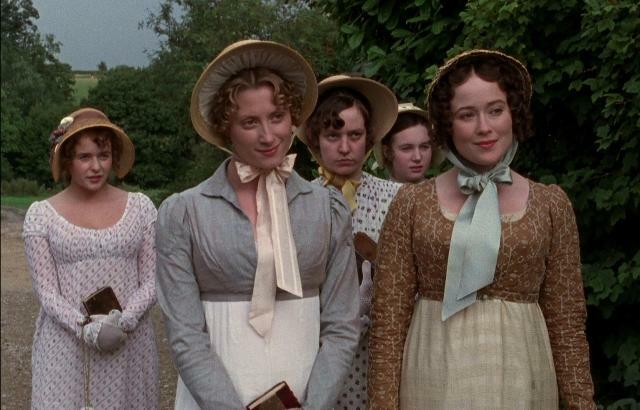 Marianne Dashwood and Lizzy are definitely my favourites, they are so ready to speak their minds. Loved this post! I completely agree with everything you said…yes perhaps critics should think before making flippant remarks, which make no sense whatsoever!